Seven U.S. cities have been vying for the chance to host the 2024 Summer Olympics, but only one American metropolis can claim the bid. We're now one step closer to finding out which that'll be: The U.S. Olympic Committee shortlist of the 2024 Olympics' cities was finalized this week in a meeting in Cambridge, Massachusetts. Although the USOC has yet to officially announce the top contenders, sources close to the committee told The Associated Press that Boston, Washington, D.C., San Francisco and Los Angeles made the cut. That means three other cities — Dallas, Philadelphia and San Diego — have to keep vying. Better luck in 2028? The United States hasn't hosted the Olympics — summer or winter — since the 2002 Winter Games in Salt Lake City. Recent bids for the Summer Games have failed. Not even a personal visit from President Obama and the First Lady at the International Olympic Committee voting session in 2009 could elevate Chicago's profile as the host of the 2016 Summer Games; The Windy City came in fourth in the voting, losing out to Rio de Janeiro. As the nation's capital, Washington, D.C. has a lot going for it beside political significance and patriotism: There's gleaming monuments, numerous historical attractions and even a thriving arts scene. But in order to make the 2024 Washington D.C. Olympics feasible, the city will have to undergo major changes. There are plans to demolish the Robert F. Kennedy Memorial Stadium to make way for an Olympic stadium and village. However, city planners say much of the Olympic events will have to take place about an hour a way in Baltimore, though that's not necessarily a bad thing — Baltimore is currently an up-and-coming city that may benefit from the Olympics tourism. The charming New England city has everything: historical ties, a strong sports legacy, citywide public transportation and beautiful waterfront scenery. Despite all of Boston's pros, the cozy city of 600,000 people does not have the solid infrastructure needed to support the Summer Games. According to a special report from the Massachusetts State Legislature, Boston would need to build an Olympic village, an Olympic stadium, an aquatics center, and a velodrome. Because Boston proper is tiny — and crowded — many of these facilities will have to be built far outside city limits. So, unless you want to hold the 2024 Olympics in Worcester, the Commonwealth may be out. Los Angeles has already hosted two Olympic Games, so why not add a third? Because of its Olympic legacy, the City of Angels has several Olympics-ready facilities in place, including the Los Angeles Memorial Coliseum — a stadium built for the 1984 Summer Olympics that's still in use. However, the Coliseum does have to undergo a $70-million renovation. What's stopping Los Angeles from hosting its third Olympics? Despite having many amenities in place, Barry A. Sanders, the chairman of the Southern California Committee for the Olympic Games, told The New York Times that only a quarter of those venues will be reused for a future Olympics. Instead, the committee would like to build a new athletes’ village in downtown Los Angeles, which has turned into a hub for artists — OK, hipsters — over the years. 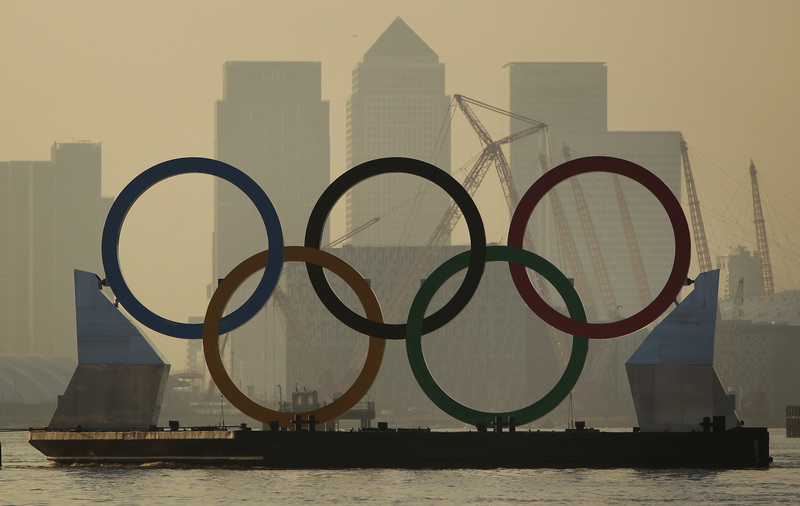 The Olympics could be a way to revitalize the once-desolate downtown area even more. The city's major con? Those who've experienced L.A. traffic can only imagine the hours-long gridlock on the freeways. Because San Francisco is America's hottest city at the moment — sorry, New York — it makes sense that it would be one of the top contenders for the 2024 Olympics. However, the city itself is so small and compact that chances are, these Summer Games will mostly take place outside of San Francisco in Silicon Valley. The Bay Area, though, can definitely handle the Olympics: AT&T Park and Harding Park could be transformed into Olympic facilities, while Stanford University can host the athletes' village. Of course, just imagine the technology Silicon Valley will have by 2024.